My Appointment | Hearing Centre Cape Town | Book appointments online hassle free. An Audiology Practice situated in Durbanville, Sonstraal Heights. Hearing Centre Cape Town works with the diagnosis and treatment of hearing loss and disorders pertaining to hearing. We offer in depth hearing evaluation, fitting of hearing aids, hearing aid repairs and hearing protection devices to clients of all ages. 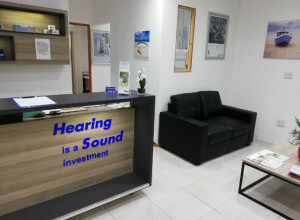 We make use of the latest technology when diagnosing and assisting clients with hearing difficulties, allowing for accurate diagnosis and effective intervention of hearing problems. We believe in a client-centred approach and we take time to get to know our clients, which leads to tailor made solutions.